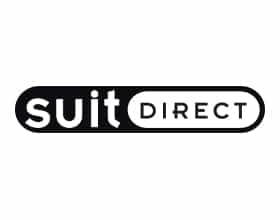 Call into Suit Direct at Lakeside Village where you can find many of the classically styled shirts produced by one of Britain’s most iconic shirt-makers; Ben Sherman. Featuring that unmistakable silhouette and distinctive design, the Ben Sherman shirt has been a timeless addition to the wardrobes of young people for 50 years. Though steeped in history, Ben Sherman continues to be an innovator in contemporary fashion, helping retain its popularity within British culture.